Made with Neotex smart fabric technology, the Cami Hot stimulates and traps heat to increase your core temperature and calorie count. Neotex is a smart thermal fabric technology that keeps you dry on the outside while helping you sweat twice as much. Breathable, elastic fabric that provides freedom of movement while maintaing your high-performance. Keeps you fit and makes you feel fantastic during your training and daily activities. DISTINCT DESIGN FOR FASHION AND FUNCTION: No more uncomfortable zippers or other details to rub against your skin. Slide it over your head and feel the flexibility of the fabric hug your curves. 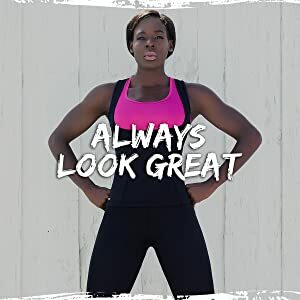 Beyond the attractive design, this Cami Hot possesses properties that block bacteria build up and the spread of moisture, allowing you to smell fresh and stay dry on the outside even while working up a sweat. 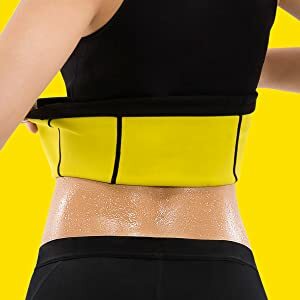 This black and yellow shaper will also provide tummy compression and help you lose weight. 60 DAY MANUFACTURER GUARANTEE: All orders from Hot Shapers include a Certificate of Authenticity letter confirming you purchased an original creation from Hot Shapers. 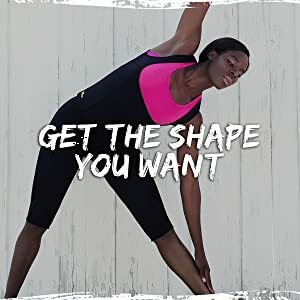 Hot Shapers set out to create the best active camisole for women who needed a quick way to improve their exercises and workouts. If you are not satisfied with your Cami Hot simply contact us through Amazon and we will replace or refund your order, no questions asked. Note that you must provide the Certificate of Authenticity.